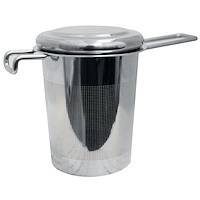 Why should you use a Bombilla StrainerStraw for your medicinal herbs and tea preparations? Tradition. Centuries ago the Guarani Indians of Paraguay received bombillas from the Incas in exchange for sharing their knowledge of herbal medicine. The bombilla was an important technological advance at the time and artists made many beautiful ones with silver, gold and precious jewels. Health Benefits. 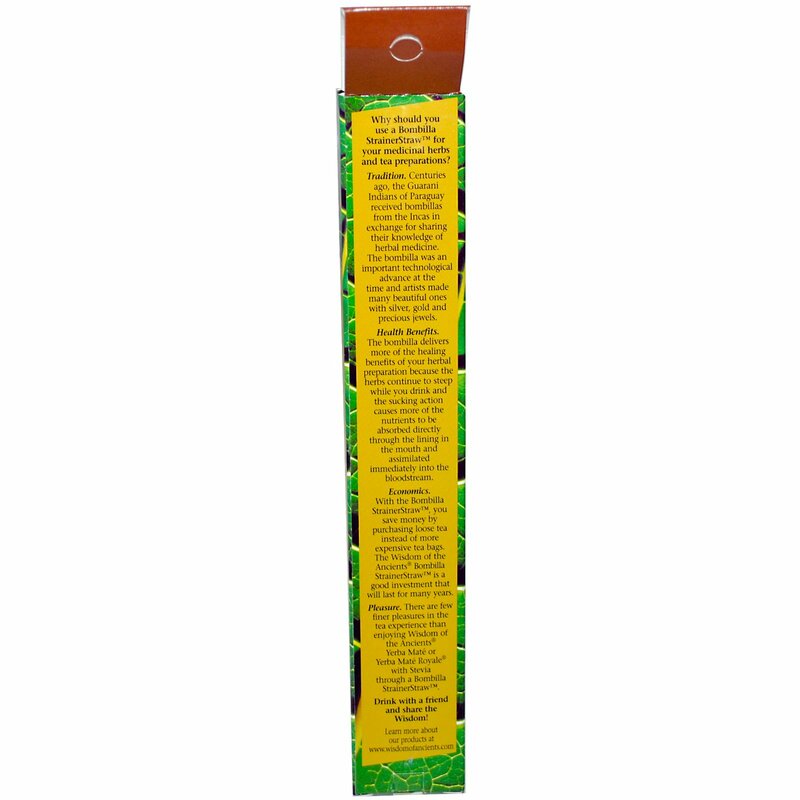 The bombilla delivers more of the healing benefits of your herbal preparation because the herbs continue to steep while you drink and the sucking action causes more of the nutrients to be absorbed directly through the lining in the mouth and assimilated immediately into the bloodstream. Economics. With the Bombilla StrainerStraw you save money by purchasing loose tea instead of more expensive tea bags. The Wisdom of the Ancients Bombilla StrainerStraw is a good investment that will last for many years. Pleasure. There are few finer pleasures in the tea experience than enjoying Wisdom of the Ancients YerbaMate or YerbaMate Royale with Stevia through a Bombilla StrainerStraw. Drink with a friend and share the Wisdom! The Bombilla StrainerStraw is the traditional method of drinking YerbaMate and other healthy herbal beverages in Paraguay, Argentina and other parts of South America. Put the appropriate amount of loose herbs into a mug or a traditional gourd and then fill with water. After steeping, place your Bombilla StrainerStraw directly into the herbs until the tip hits the bottom of the mug. Sip your tea directly through the straw. After consuming your first round of tea, you can refill your mug with water using the same herbs again. In Paraguay the Guarani Indians refill their gourds with water many times, maximizing the healing benefits of their herbs thanks to the Bombilla StrainerStraw. 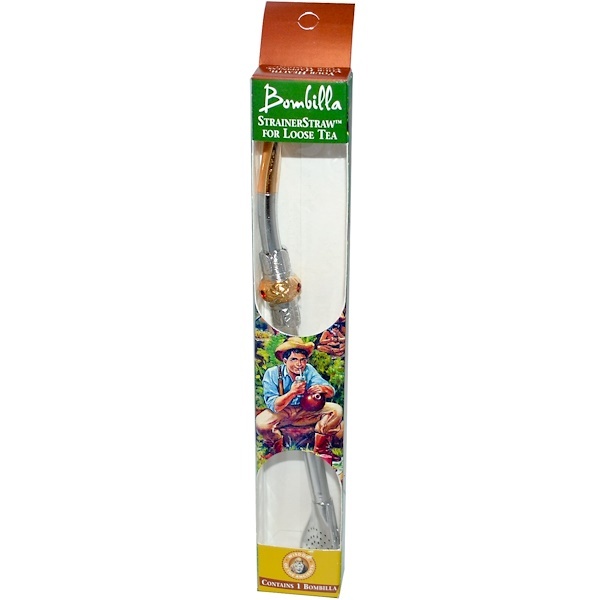 Imported from Paraguay, the Bombilla StrainerStraw is made from brass coated in stainless steel.